Consulting Proposal Development PowerPoint templates, backgrounds Presentation slides, PPT Themes and Graphics. Create a top notch PowerPoint presentation with our consulting proposal development PPT templates. These templates are innovatively designed by our professionals. Our sample consulting proposal PowerPoint templates are encompassed to attain tangible and intangible outcomes. These proposals include the sequence of objectives, value, metrics and finite project timing. Accountabilities and credentials are easy to measure with these consulting proposal development PPT templates. Provide device layout and specifications implementing these engineering proposal PowerPoint templates. Determine your long term needs and develop best in class processes proposal management plan presentation templates and process proposal PowerPoint templates. These templates are ideal to communicate with proposal support companies. Our proposal PPT templates reflect the acquisition and procurement trends that are followed by government. One can also develop proposal for the website or international consulting. We have a huge collection of Proposal development services PowerPoint templates, International development consulting PPT templates, engineering services proposal presentation templates, proposal for services PowerPoint templates, research and development process PPT templates and so on. Download free consulting development PPT templates for your presentation from Free Download section. Customize color, text and size of your most desired presentation templates and impress your audience. Get successful proposal deals. Good Luck! We present our business strategy development theme ppt plan proposal template PowerPoint templates.Download our Arrows PowerPoint Templates because Our PowerPoint Templates and Slides provide you with a vast range of viable options. Select the appropriate ones and just fill in your text. Download our Boxes PowerPoint Templates because Our PowerPoint Templates and Slides will provide you the cutting edge. Slice through the doubts in the minds of your listeners. Present our Marketing PowerPoint Templates because Our PowerPoint Templates and Slides are innately eco-friendly. Their high recall value negate the need for paper handouts. Download our Process and Flows PowerPoint Templates because You should Bet on your luck with our PowerPoint Templates and Slides. Be assured that you will hit the jackpot. Download and present our Business PowerPoint Templates because Our PowerPoint Templates and Slides are innately eco-friendly. Their high recall value negate the need for paper handouts.Use these PowerPoint slides for presentations relating to Vector, abstract, Four, number, website, two, rectangle, step, layout, advertise, order, business, blank, tag, concept, arrow, presentation, symbol, graphic, element, development, creative, box, object, connection, direction, design, composition, background, product, block. The prominent colors used in the PowerPoint template are Green, Blue light, Gray. Avoid fiascos with our Business Strategy Development Theme Ppt Plan Proposal Template PowerPoint Templates. You will be armed to face any contingency. 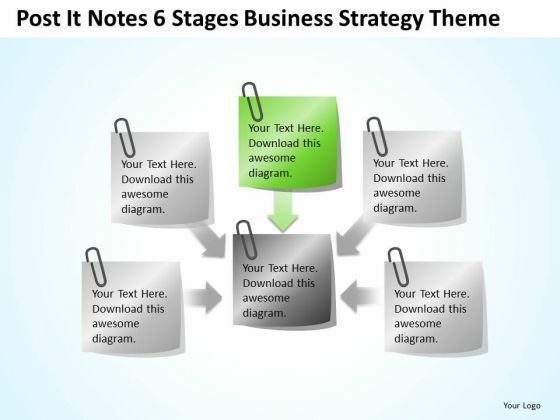 Flaunt it with our Business Strategy Development Theme Ppt Plan Proposal Template PowerPoint Templates. Exhibit your ability without a care. We present our circular business models for structured tasks ppt proposal template PowerPoint Slides.Download and present our Marketing PowerPoint Templates because Our PowerPoint Templates and Slides will definately Enhance the stature of your presentation. Adorn the beauty of your thoughts with their colourful backgrounds. Download and present our Computer PowerPoint Templates because You can Double your output with our PowerPoint Templates and Slides. They make beating deadlines a piece of cake. Use our Arrows PowerPoint Templates because Our PowerPoint Templates and Slides will let Your superior ideas hit the target always and everytime. 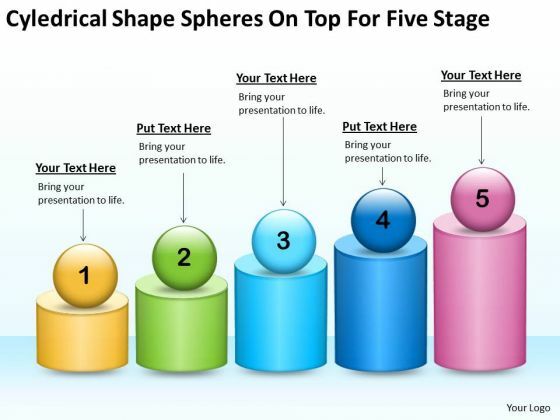 Download and present our Circle Charts PowerPoint Templates because You can Create a matrix with our PowerPoint Templates and Slides. Feel the strength of your ideas click into place. Use our Business PowerPoint Templates because Our PowerPoint Templates and Slides are conceived by a dedicated team. Use them and give form to your wondrous ideas.Use these PowerPoint slides for presentations relating to Process, integration, testing, strategic, model, business, implementation, flow, business, plan, engineering, arrow, rotation, recycling, infrastructure, recycle, data, schedule, analysis, rotate, marketing, development, gear, team, management, computing, strategy, project, iterative, assurance, maturity, design, maintenance, quality, control, improvement, database, software, analise. The prominent colors used in the PowerPoint template are Pink, Gray, White. Suggest ideas with our Circular Business Models For Structured Tasks Ppt Proposal Template PowerPoint Slides. Download without worries with our money back guaranteee. 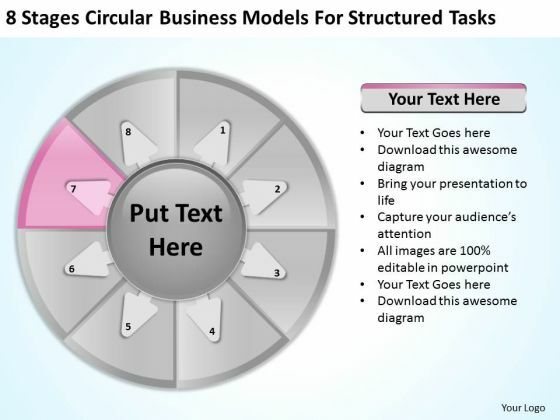 Exhilirate your audience with our Circular Business Models For Structured Tasks Ppt Proposal Template PowerPoint Slides. Entertain them in your characteristic way. We present our four elements of parallel process business proposal examples PowerPoint Slides.Download and present our Finance PowerPoint Templates because our PowerPoint Templates and Slides will give your ideas the shape. Download and present our Arrows PowerPoint Templates because It can Bubble and burst with your ideas. Download and present our Business PowerPoint Templates because Our PowerPoint Templates and Slides will Embellish your thoughts. They will help you illustrate the brilliance of your ideas. Download our Process and Flows PowerPoint Templates because Our PowerPoint Templates and Slides will Activate the energies of your audience. Get their creative juices flowing with your words. Present our Success PowerPoint Templates because You are an avid believer in ethical practices. Highlight the benefits that accrue with our PowerPoint Templates and Slides.Use these PowerPoint slides for presentations relating to 3d, Arrow, Banner, Business, Business Concept, Chart, Description, Development, Diagram, Direction, Element, Empty, Financial, Flow, Flowchart, Future, Gradient, Graph, Graphic, Illustration, Isolated, Mirrored, Object, Placeholder, Presentation, Process, Section, Segment, Set, Shape, Sign, Steps, Symbol, Template, Topic, Vector. The prominent colors used in the PowerPoint template are Green, Yellow, Blue. Presenters tell us our four elements of parallel process business proposal examples PowerPoint Slides are readymade to fit into any presentation structure. 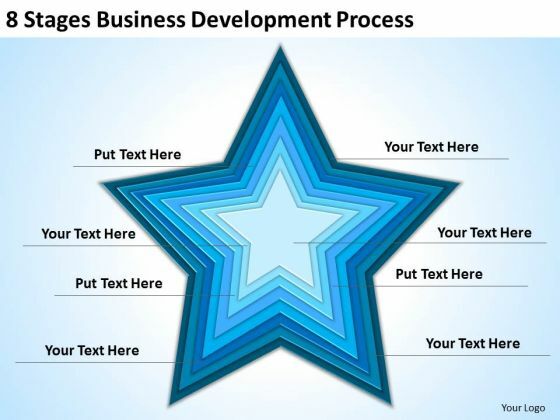 We assure you our Development PowerPoint templates and PPT Slides are designed by a team of presentation professionals. Professionals tell us our four elements of parallel process business proposal examples PowerPoint Slides will generate and maintain the level of interest you desire. They will create the impression you want to imprint on your audience. We assure you our Banner PowerPoint templates and PPT Slides will make you look like a winner. People tell us our four elements of parallel process business proposal examples PowerPoint Slides are topically designed to provide an attractive backdrop to any subject. The feedback we get is that our Development PowerPoint templates and PPT Slides are designed to make your presentations professional. Bring matters to a successful conclusion. Our Four Elements Of Parallel Process Business Proposal Examples PowerPoint Slides provide a grand finale. Our Four Elements Of Parallel Process Business Proposal Examples PowerPoint Slides willexhibit your ability. Demonstrate your talent to one and all. 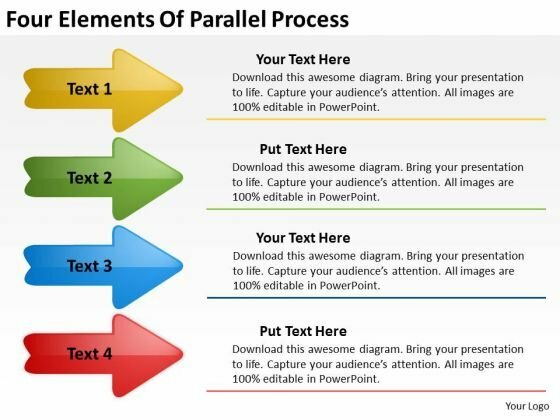 We present our 4 stage parallel process interaction diagram business proposal examples PowerPoint Slides.Use our Marketing PowerPoint Templates because You should Kick up a storm with our PowerPoint Templates and Slides. The heads of your listeners will swirl with your ideas. 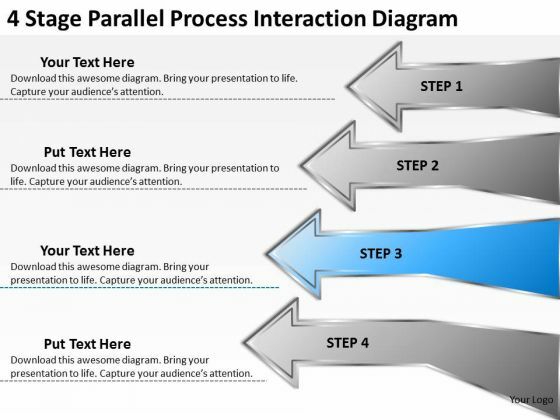 Use our Arrows PowerPoint Templates because Watching this your Audience will Grab their eyeballs, they wont even blink. Use our Business PowerPoint Templates because Watching this your Audience will Grab their eyeballs, they wont even blink. Present our Process and Flows PowerPoint Templates because Our PowerPoint Templates and Slides are focused like a searchlight beam. They highlight your ideas for your target audience. Download our Shapes PowerPoint Templates because It will Strengthen your hand with your thoughts. They have all the aces you need to win the day.Use these PowerPoint slides for presentations relating to 3d, Arrow, Business, Chart, Collection, Concept, Connection, Continuity, Diagram, Direction, Dynamic, Flowchart, Form, Group, Illustration, Loop, Motion, Movement, Presentation, Process, Progress, Recycle, Refresh, Reload, Render, Renew, Return, Reuse, Rotation, Shape, Sign, Symbol, Turn, Update. The prominent colors used in the PowerPoint template are Blue, Black, Gray. Presenters tell us our 4 stage parallel process interaction diagram business proposal examples PowerPoint Slides are second to none. Use our Diagram PowerPoint templates and PPT Slides are topically designed to provide an attractive backdrop to any subject. We assure you our 4 stage parallel process interaction diagram business proposal examples PowerPoint Slides are designed by a team of presentation professionals. PowerPoint presentation experts tell us our Connection PowerPoint templates and PPT Slides look good visually. Presenters tell us our 4 stage parallel process interaction diagram business proposal examples PowerPoint Slides are readymade to fit into any presentation structure. PowerPoint presentation experts tell us our Chart PowerPoint templates and PPT Slides have awesome images to get your point across. Assist them in making the right choice. Open up all the cards with our 4 Stage Parallel Process Interaction Diagram Business Proposal Examples PowerPoint Slides. Do not let the excitement get to you. 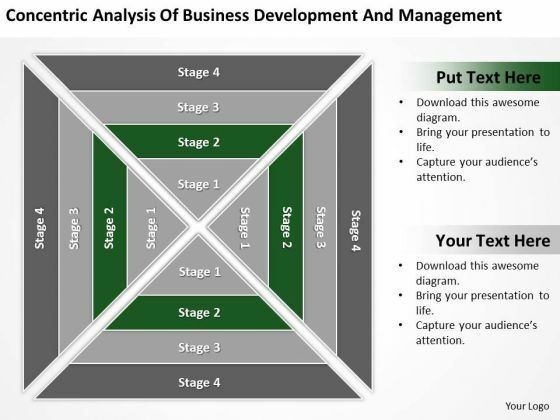 Keep it calm with our 4 Stage Parallel Process Interaction Diagram Business Proposal Examples PowerPoint Slides.